…after you’ve exercised excessively and have consequently sweated excessively. 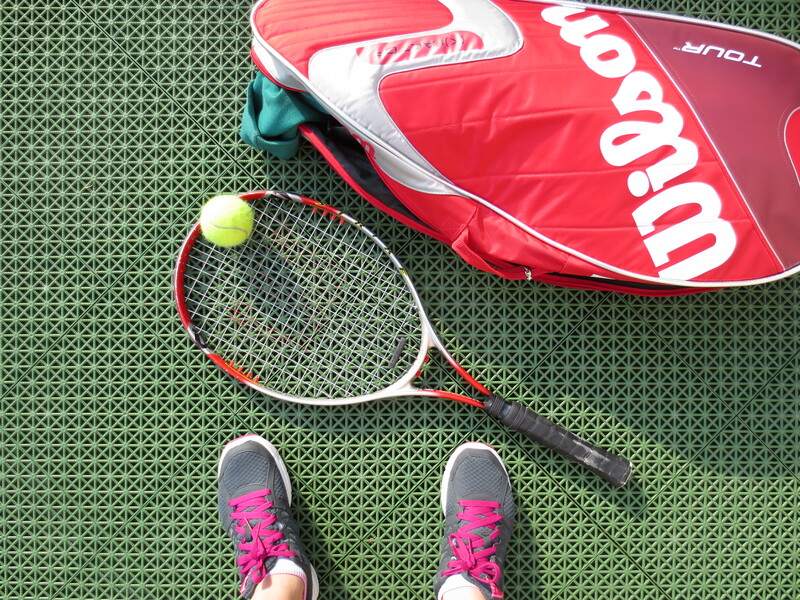 The story behind today’s post began two weeks ago when I played tennis for three hours…drank a lot of water…went to sleep…and woke up at 4:00am with one of the worst headaches of my life!!!! This condition is called hyponatremia (hypo=low, natremia=blood sodium). The consequences of hyponatremia include dizziness, headache, nausea, and oh…did I mention death! For years I suffered from hyponatremia after playing sports. No one could tell me why, and I never figured out the problem until I took Physiology 302. Sports drinks are the obvious solution. Me of course, having made a personal pledge to never drink caloric beverages, fell victim to my own good intentions. However, while replacing electrolytes (such as sodium) is part of the solution, electrolytes alone won’t completely solve the problem. That’s part of the reason why sports drinks don’t exclusively contain electrolytes. And while they probably contain more sugar than you really need, sugar is nevertheless an essential ingredient. That’s because on its own, sodium can’t pass through the cells of your intestine and enter your bloodstream. It needs to be transported. And one of the transporters that accomplishes this task is a sodium-glucose transporter, which means it needs both glucose and sodium to operate. Therefore, post-exercise, carbohydrate is needed to assist in the absorption of sodium. While consuming a sports drink will get the job done, sports drinks are not your only option, anything that contains carbohydrate and sodium should do the trick (ex. crackers, juice, a pickle, etc.). In conclusion, it’s kind of funny how so much of my work is dedicated to preventing people from suffering from having too much sodium, meanwhile I somehow manage to let myself suffer from having too little!! So as I sit here typing this story, after having just played tennis for three hours…rest assured, I’m snacking on a tiny bit of pasta and vegetables, to which I added a dash of salt! 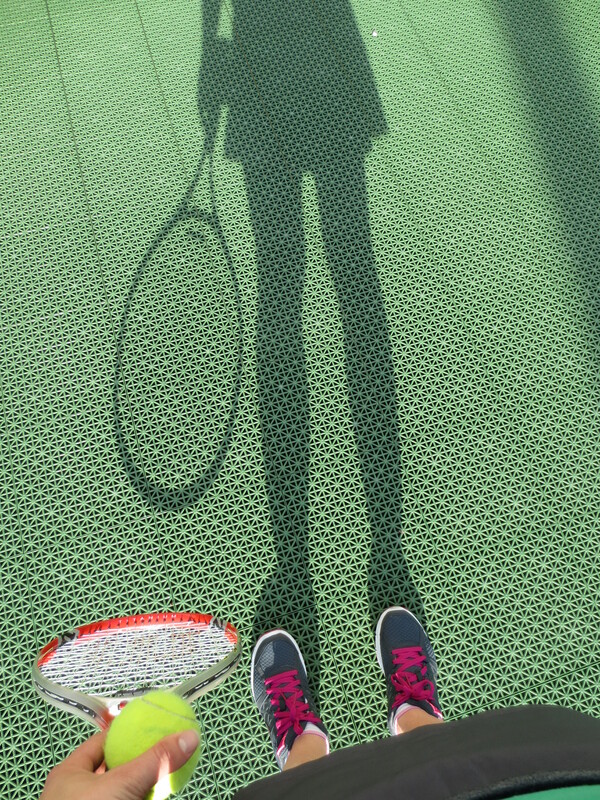 Since it’s difficult to take a picture of yourself playing tennis, I opted for a shadow selfie. I love my pink laces! –I learned about this fact from: Years of unpleasant experiences and my third year physiology professor Dr. French!